How bringing marketing, sales, and customer service under the same wing where everybody is communicating leads to better serving our customers. Welcome to Experience This where you'll find inspiring examples of customer experience, great stories of customer service, and tips on how to make your customers love you even more. Always upbeat and definitely entertaining, customer retention expert Joey Coleman and social media expert Dan Gingiss, serve as your hosts for a weekly dose of positive customer experience. So hold on to your headphones. It's time to Experience This. Get ready for another episode of the Experience This show. Join us as we discuss melting ice with flamethrowers, improper wardrobing, and selling pools on the internet. Flamethrowers, fashion, and fiberglass. Oh my. Joey: This episode's CX Press article comes from a Social Media Today article by Deborah Sweeney, Four Ways Game of Thrones Excels at Building Social Media Hype. This was a really interesting article on how blockbuster HBO series Game of Thrones used social media to build the anticipation for the launch of season seven, which everybody was super excited about, and now that we're into season seven is really fantastic. The article talked about four key things that HBO did to use social media to promote the show. First, they did a Facebook live announcement, where they actually put the launch date of season seven in a block of ice, and then they streamed the ice melting. Now, I know you think watching ice melt is probably not exciting, but a ton of people tuned in and really enjoyed watching this. And in fact, while they were watching the Facebook live announcement, if you typed Fire in, a flamethrower appeared, which sped up the ice melting process. The second cool thing they did is they released the full trailer for season seven on June 21st, the first day of summer, which was kind of an inside joke for people that watch Game of Thrones, because the big mantra of the previous season was Winter is Coming. So, to announce it on the first day of summer was kind of an insider baseball joke that all the loyal fans noticed and thought was pretty funny. The third thing they did is, they worked with Snapchat to create a White Walker filter. What was interesting about this is the White Walker filter allowed your eyes to go blue and you could breathe ice and that kind of thing. But what they did to create a little sense of urgency was, when you unlocked this new filter on Snapchat, you only had an hour to use it before it disappeared, which created a lot of people wanting to use it very quickly in that time, because there was a sense of urgency in the fact that it was going away. Finally, the article talks about tweets from a star. Maisie Williams who portrays Arya Stark in the series, tweeted out when she first read the script, and I'm quoting from her tweets, "Just finished reading season seven. Beep. It gets real. I'd start preparing yourselves now. Scratch that. Nothing will prepare you for this." So they had four kind of interesting ways that they incorporated social media to build buzz and build hype and anticipation for the launch of season seven. And kind of an interesting article talking about creative ways to do that. Dan, do you actually watch Game of Thrones? Joey: No spoilers, no spoilers. Dan: ... I think it's fair to say that Maisie Williams' quote very well could have referred just to the first episode and her character. Joey: I would agree, yeah. Again, we're not giving anything away here, but if you watch the very first episode of season seven and you know that Arya Stark was the one who tweeted those things out, you're right, she could have just been referring to that. But who knows what future episodes would hold? Dan: Exactly. And I think one of the most interesting things that you talked about in that article there is this whole idea of watching a block of ice melt. On paper, that doesn't sound exciting, and yet what I think the learning here is, is that it's really important for companies to not ignore their superfans. The superfans are the ones that are going to go and market your product or service for you, and all you have to do is give them a little ammunition. And in this particular case, the block of ice ... you know, yeah, sitting there and waiting for it to melt, nobody who wasn't a superfan was there doing that, right? So they got all their superfans in one place and then got them to go nuts on social media about it, which I think was a really great approach. Joey: Totally. And I think one of the interesting things about superfans, Dan, is every company at some level has at least one superfan. Now, some of our listeners may be thinking, "Oh man. I doubt our company really has that," or, "We don't really do anything for our superfans," but there is someone who loves your product or service. And if not, we need to go back and really look at the product and service we're offering. But whatever you can do to cater to those superfans and create unique experiences and opportunities for them, they will get their friends to join in too. And the more that they feel that they are loved and appreciated by your business or by your brand, the more rabid those superfans will become. Dan: Absolutely. And we all know that the most trustworthy people on social media are our friends, so when we hear marketing messages from our friends, they're a heck of a lot more believable than we hear them from brands. And approaching superfans as a marketing vehicle is a great way to go because they will never let you down. Sometimes a remarkable experience deserves deeper investigation. We dive into the needy-greedy of customer interactions and dissect how and why they have it. Join us, while we're dissecting the experience. Dan: Joey, I was watching a segment on CBS News recently about retail stores return policies. Did you know that Land's End has a policy that is, love it forever or get a refund? Joey: Actually I didn't know that before you told me, Dan. I'm not a big news watcher, so I love that you were watching CBS News, but no. I knew that they had a good return policy, I've heard that, but I didn't know it was love it forever. Like, how does that even work? Dan: Well, believe it or not there's no time limit on returns. So that old raggedy sweatshirt with holes in it that my wife keeps trying to get me to throw away now that it's finally broken and uncomfortable, I could actually return that. Joey: Seriously? Wow. I love this. And there's a couple of companies out there that have unique return policies, but I haven't heard of one that is gracious and as understanding as Land's End policy. Do you think they ever worry though, Dan, about ... and personally I wouldn't worry about this, but I wonder if they worry about people who would just buy clothes from them to wear them, and then send them back after they've worn them? Joey: It even has a name, I love it. Dan: It does. It's basically buying clothes, wearing them once, not taking the tags off and returning them. And Land's End does experience this, but what they said in this piece was that the amount of essentially return fraud that they have is basically up to industry standards. It's not any more than their competition, even though they have this more lenient return policy. Joey: I love it, I love it. I think the reason for that is probably that Land's End trusts its customers to do the right thing, and the customer's on to that trust. I was having a conversation a few years ago with Tony Hsieh, the CEO of Zappos, and Zappos has a 365 day return policy. And I was like, "Tony, don't they ... aren't you afraid that people will abuse this?" And he was like, "Joey, the number of people that actually abuse this is infinitesimally small, whereas the number of people that actually appreciate this and use it as a reason to buy from us is huge." Dan: That totally make sense. I mean, there's also a psychological aspect to this too, right? If you tell me that I have to return it within 30 days, I'm putting this in my mental clock and I am remembering, frankly, that I need to try this thing on and/or return it. But if there is no return policy, or if it's 365 days, I'm also more likely to forget about it, and at that point, I might even think 10 months later they're not going to take it back, and probably not return it. If you force people into a deadline that is of your own making, of the company's own making, then more people are likely to follow that deadline. And if you give them the freedom and you show trust, then they're going to do the same back to you. Joey: I think that makes perfect sense. I'd love it if more companies just trusted their customers and did this. And I understand that there's probably lawyers ... sorry lawyers. Remember I used to be one ... and folks out there on Wall Street, they're like, "Well, you can't properly ..." and accountants, I guess, probably also will say you can't properly credit the sale until your return policy period is passed and things like that. But it would be nice just to bring some more humanity back to the story. Dan: Well, and you don't have to go as far as Land's End goes if you don't want to. I'll give you a different example. I shop a lot at Menards, and Menards has a machine when you walk in, that if you put your credit card into the machine it will show you on a screen every receipt that you've basically had shopping at Menards, and you can re-print any receipt. It takes away that pain point of having to A, remember the receipt, B, store it in some place, and then C, access it again when you need it in order to make a return. And they basically are saying, "Look. We trust you. If you made the purchase, it's right here in our system and go ahead and print it out again, and we'll take the return." And to me, it's not a trivial thing. To me it made shopping at Menards a whole lot better than shopping at other home places. Joey: Dan, I totally agree. That's not trivial, that terrific, because what it does is it says, "Look, we have this in our records. We're not going to put the onus on you customer, to however many days ago you purchased this, remember where the receipt goes." Because I don't know about you, the receipt ... half the time I don't even ask for the receipt or take the receipt, because I think it's just wasteful for the environment. And if I do take it, the likelihood of me being able to produce that pretty much any time, even between the store in my car, is super small. So I love the idea that Menards is just letting you do it, and companies like Land's End say, "Look. We trust you. Return whenever you want to." It's fantastic. Dan: I think the takeaway here, if you're a retailer, is obviously look at your return policy. But really for any company, look at your policies and procedures, and try to look at them through your customer's eyes and figure out whether they still make sense to customers. Most of these policies were not created with a customer centric mentality. They were created to save the company money, or for some other corporate reason that usually comes down to profit. And I think today, companies are realizing that a lot of these old policies, the customers are not going to put up with them anymore. It's so easy to switch to a competitor that you may find that changing a policy that feels like is going to cost you more money, actually saves you money, because you retain more customers, you keep them happy, you show them that you trust them, and you build that loyalty. Joey: Dan, I absolutely love it. And one more takeaway if I may, when it comes to trusting your customers, let's stop treating all of our customers as if they exhibited the behavior of our worst customers. Right? Stop lowering the bar to the least common denominator. If your policies are put in place because of that one time something went wrong, or that one time somebody abused it, stop and look at the fact that you're treating and punishing all of your customers for the bad behavior of one or a few. And let's just knock that off and focus on making the experience great, because then the business really takes off. Dan: I totally agree. And if you don't mind, I'm going to head out now and go put on my Land's End sweatshirt. Joey: On your way to Menards. We're excited to give you an overview of an important book you should know about, as well as share some of our favorite passages, as part of our next book report. Joey: I am so excited, Dan, that we are going to talk about our good friend Marcus Sheridan and his fantastic book They Ask You Answer. We asked Marcus to give us a little overview, so let's listen to the book explained in the words of the author. Marcus: Hey folks. It's Marcus Sheridan here, author of They Ask You Answer: A Revolutionary Approach to Inbound Sales, Content Marketing and Today's Digital Consumer. I'm super excited to do this quick summary for my friends Dan and Joey, both of who I truly appreciate, respect, and I'm thrilled that they have started this podcast. So what is They Ask You Answer about? Really, They Ask You Answer is a philosophy of business, a philosophy that started when I almost lost my business, and how we went from going over the brink of bankruptcy to ultimately becoming the most trafficked swimming pool builder website in the world, and how that led to this unbelievable journey where I've been able to share with other businesses this philosophy of honesty and transparency, and how all of us are teachers. And what makes this book different, I think, than many books that you read when it comes to inbound, or when it comes to this thing that we call content marketing, is that it really approaches it from both lenses, which is, of course, the sales side, and the marketing side. Usually, more often than not, most of these books are straight marketing-based, but at this point in time businesses have to get rid of the silos. And in fact, especially if you listen to Joey and Dan, we need to bring marketing sales and customer service under this same wing if you will, where everybody is communicating, there is open minds, the silos are gone, and because of that we can better communicate with, and serve our customers. Joey: Love it, love it, love it. Fantastic. I absolutely enjoyed this book. Marcus is a great guy, and what I really love about the book, Dan, is it's this great combination of Marcus' philosophy around the responsibility business owners have to really address the questions and the concerns their customers have with his incredible ability as a storyteller. Dan: For sure. And we both know Marcus. I've heard him speak, he's probably the best speaker that I've ever heard. I witnessed him in front of 2,500 people, causing them all to laugh, cry, and then stand up and applaud at the end of the presentation. And part of that is, is because he's lived this. He has done this with his own business, so he's not just preaching to people and giving these big platitudes. He's actually giving the secrets to his own success with the swimming pool business, which I thought was just absolutely amazing. And the thing is, is that the first response a lot of people have, is "Well, I'm not into swimming pool business," or, "My business is completely different from this." I think Marcus lays out the case in his book that it does not matter what business you're in, you can be the expert in your field, and you can be the company that educates people on your line of business. Joey: Totally. And the fascinating thing ... and I know, Dan, you and I both experience this lots of times when we're speaking or we run into folks who say, "Well, I appreciate that example, but my business is totally different. I'm a shinny penny over here." And it's like, folks, your businesses aren't as different as you think they are. Not to mention, if Marcus can do this in the pool business, no other business has an excuse for not adopting this philosophy. Because who would have thought that there are hundreds and hundreds and hundreds of questions that people would have about swimming pools? I think most people are like, "Oh yeah. We're going to get a pool, we're going to put it in the back yard. It will be great." And certainly they have questions, but the fact that he's been able to identify so many different types of questions, and he really breaks it down into the book, showing you how you answer different types of questions. For example, how you address your competition, how you address pricing, these really interesting conversations and definitely something that I think everybody should check out. Marcus was kind enough to give us a dramatic reading of one of his favorite quotes from the book as well, so let's listen to that. Marcus: "If I asked you who is the most trusted voice in your industry, how would you respond? Surprisingly, in most industries, such a person or company doesn't even exist. In the following pages, if you truly apply what is taught herein, you'll discover exactly how you can become that voice. And I do believe that. I believe that all of us, if we want to, we can become the most trusted voice in our space, because ultimately that's what every business is about. That's the battle that we're all in. We're all in a battle for trust. And if we remember that, we can do some pretty incredible things." Joey: What a great way to kick off the book. It gets the reader thinking, it lays out the promise of the entire book in a single paragraph. I love it. 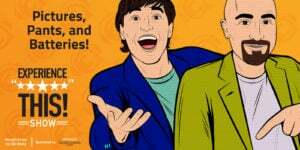 Dan: And he does deliver on this, because this book is really a practical guide, and he will teach you how to figure out what your potential customers are asking. Obviously, you can go look at Google and see what they're searching, you can listen on social media, but you can also sit down with some of your customer service agents and ask them what are they hearing every day when they're talking in the front lines to their customers. Or go talk to your sales people and ask them what kinds of questions they get from prospects. You do this and in no time you're going to have dozens, if not hundreds of different blog topics to do exactly what Marcus did in his business. Joey: I totally agree, Dan. And what I love about this philosophy, is not only is this going to improve the experience your customers have, this is actually going to improve the experience your employees have. I mean, if a business owner or a manager takes the approach that you just suggested and actually talks to the customer service reps, and talks to the field sales reps, these employees will feel heard in a way that maybe they haven't felt before. And the thought that you can incorporate not only their perspective, and their observations, and their knowledge of what's going on with your customer facing interactions, but then also, turn around and maybe get them involved in helping to create the content, whether that's writing blog posts or doing videos. It's a great way to actually build morale internally as well. Dan: Totally agree. Joey, I know you pulled out one of your favorite quotes from this book as well, did you not? Joey: I did. So here's my quote. "Simply put, the greatest companies and modern day rule-makers are obsessed with consumer fear. And they allow that fear to dictate their entire business model. If they are able to eliminate all fears and negative emotions from the buying process, the only emotion left to feel is trust." Now, I'm not a big fan of the fear tactics that we see pervasive in our news media this day, but what I love about Marcus' quote about fear is that there really is an emotional rollercoaster when you think about the customer journey. And if you can identify the customer's fears and address them before they feel them, it makes the customer feel very taken care of. And when they feel taken care of, and they feel like you're not only addressing their objections, but more importantly diving deeper into the emotional concerns that they might have, whether that be uncertainty about how your process works, wanting to make the right decision of who they choose to do business with, if you're doing things to allay these fears and concerns, it totally changes the experience. Dan: Yes. One thing I would add to that is that it does depend a little bit about how pricey of an item we're talking about, right? If you choose the wrong bag of chips, there's not a whole lot of risk. You're going to throw the bag out and you're not going to buy it again, and you've spent $0.99. But if you buy the wrong swimming pool for your backyard, you've invested $50,000, maybe $100,000. That's a ton of risk and that's why people are fearful, and that's why they go and do the research and they try to learn as much as they can. And that's really what this book is about, is how to be there when your prospects are out learning, and how to teach them everything that they need to know in order to make a decision. Joey: I totally agree, Dan. Although I would say that every business has the opportunity to recognize fears, and they may be fears that didn't used to be big fears, but are today. What I mean by that is, we hosted a dinner the other night here at our house, and one of the attendees ... it was a couple of different families. One of the children has a terrible nut allergy, and the parents were looking through some of the ingredients of the different things that we had prepared for dinner, checking in. And my wife's a rockstar. She had planned ahead to make sure we had nothing that was even remotely close. But we got into this big discussion about how there isn't a clear and easy way to know with a lot of foods whether they have nuts, or whether they were produced in the same facility as one with nuts. And some companies are really good about branding this, but a lot of other ones aren't. So I think when you think about fears, it's not only the fear of the purchase, but fear of the insularly impact that the purchase might have on someone's life, or their friends, or family, or loved ones. Dan, you had a quote that you liked from the book as well, didn't you? Dan: I did. I had a lot of quotes so picking one was tough, but here's the one I came up with. "Honesty and transparency are self-evident, and when done with the right intentions, have a profound influence on the business, brand and bottom line." I think that transparency is a really interesting word, and I think that corporate transparency, the expectation of it has really risen in the last few years. We expect the brands that we do business with to be open and honest with us. And you see a lot of companies starting to answer what are the tougher questions about their products. That maybe in the past, the PR folks might have said, "Yeah. We're not going to touch that one with a 10-foot pole," and today, especially in social media, you end up being more effective by being transparent, because you gain trust with your customers. One of the examples that was given in the book that I loved, was when to say that you're not the right product. And I actually had this happened to me just recently, because I saw an ad on Facebook for Harry's razors. It was a promoted ad, and there were hundreds of comments. And I noticed that a lot of people were talking about Harry's competitor, which is the Dollar Shave Club, and also companies like Gillette, etc. and they were comparing and contrasting. So I decided to add to the comments and say, "I tried your competitor, Dollar Shave Club, and I didn't like it," because I, as many of you know, I do not have hair on the top of my head, so I am bald beautiful guy. Joey: It's a choice, it's choice. Check out the illustration of Dan if you want to see what this looks like in cartoon format. Dan: Exactly. Anyway, I tried using this razor on my head and it didn't work. It was great on my face, terrific razor for my face, but didn't work on my head. So I commented in this thread, because I wanted to see if Harry's razors would be good on my head. And they responded back, and they said, "Our razors were designed for faces and that's how we recommend using them." And I was like, oh my gosh, they read Marcus' book, because Marcus talks about being honest and being willing to say when you're not the right company, and how not only does that gain you trust from a person who still may recommend you in the future even if they don't become your customer, but it also ends up saving both you and the person a lot of time, because if you got to keep promising things that you can't deliver on, at some point this customer's going to figure that out and that's when things are going to go South. So by avoiding all of that and not having your sales people spend a whole lot of time on a customer that isn't right for your business, you end up saving your company a lot of money. It's a different tactic that not a lot of companies are comfortable doing, because a lot of companies feel like they can be the solution for everybody. But I really liked how Harry's was able to come out and say, "You know what? We're probably not the right solution for you." And again, that's exactly what Marcus preaches in his book. Joey: I love it, Dan, and I agree with you. It builds such trust and credibility. I've always believed that if you try to be all things to all people, you end up being nothing to anyone. And I think Harry's is perfect example of them just saying, "Look. It's made for faces, not for beautiful bald heads like yours, Dan." Fantastic book. Go purchase a copy of Marcus Sheridan's book, They Ask You Answer. And in it, you can discover a revolutionary approach to inbound sales, content marketing and today's digital customer. 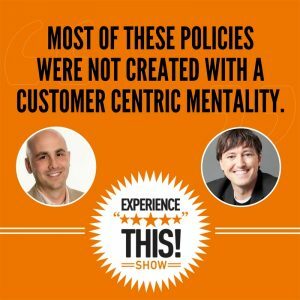 Listen in, while we try to stump and surprise each other with a fantastic statistic from the worlds of customer experience and customer service. It's time to Check Out This Number. Dan: Okay, Joey. The stat is: three times more likely. What do you think that refers to? Joey: Let's see. You are three times more likely not to make it out of the scene alive if you are starring in the scene with Arya Stark on Game of Thrones. Joey: No spoiler alerts, sorry. Dan: Yeah. Our friends at Oracle CX Cloud ... thank you for sponsoring our show by the way ... published an ebook called Digital Transformation: Three Areas of Customer Experience to Invest in Right Now, and according to this guide, customers are three times more likely to recommend a brand after they've had a positive interaction on social media. Joey: Which I know is something that's near and dear to your heart, Dan. So it's like, get on social media, have a great interaction with your customers and they'll be super excited about doing more business with you and recommending you. Go to Oracle.com/connectedCX for more great CX stats like this one. We know there are tons of podcasts to listen to, magazines and books to read, reality TV to watch. We don't take for granted that you've decided to spent some quality time listening to the two of us. We hope you enjoyed our discussions, and if you do, we'd love to hear about it. Come on over to ExperienceThisShow.com and let us know what segments you enjoyed, what new segments you'd like to hear. This show is all about experience, and we want you to be part of the Experience This show. Thanks again for your time and we'll see you next week for more Experience This.